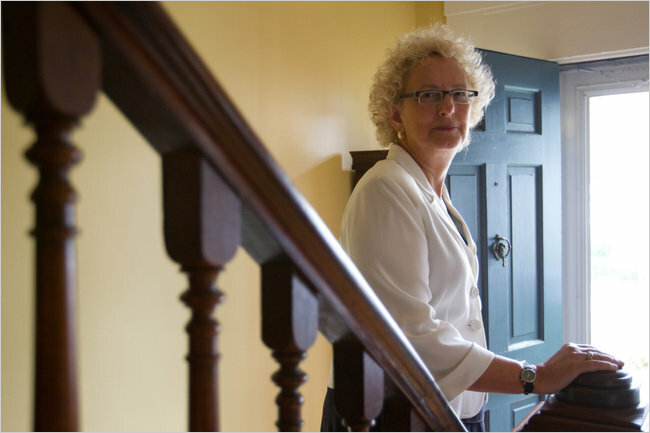 Susan Riverby, a Wellesley College professor, at home in Cambridge, MA, Mass. Her work uncovered the Guatemala study. From 1946 to 1948, American public health doctors deliberately infected nearly 700 Guatemalans - prison inmates, mental patients and soldiers - with venereal diseases in what was meant as an effort to test the effectiveness of penicillin. Enlarge This Image Bryce Vickmark for The New York Times Susan M. Reverby, a Wellesley College professor, at home in Cambridge, Mass. Her work uncovered the Guatemala study. "However, whether everyone was then cured is not clear,"� said Susan M. Reverby, the professor at Wellesley College who brought the experiments to light in a research paper that prompted American health officials to investigate. The revelations were made public on Friday, when Secretary of State Hillary Rodham Clinton and Health and Human Services Secretary Kathleen Sebelius apologized to the government of Guatemala and the survivors and descendants of those infected. They called the experiments "clearly unethical." His unpublished Guatemala work was unearthed recently in the archives of the University of Pittsburgh by Professor Reverby, a medical historian who has written two books about Tuskegee. President Ã�lvaro Colom of Guatemala, who first learned of the experiments on Thursday in a phone call from Mrs. Clinton, called them "hair-raising"� and "crimes against humanity. "� His government said it would cooperate with the American investigation and do its own. The experiments are "a dark chapter in the history of medicine,"� said Dr. Francis S. Collins, director of the National Institutes of Health. Modern rules for federally financed research "absolutely prohibit"� infecting people without their informed consent, Dr. Collins said. Professor Reverby presented her findings about the Guatemalan experiments at a conference in January, but nobody took notice, she said in a telephone interview Friday. In June, she sent a draft of an article she was preparing for the January 2011 issue of the Journal of Policy History to Dr. David J. Sencer, a former director of the Centers for Disease Control. He prodded the government to investigate. It had difficulties growing syphilis in the laboratory, and its tests on rabbits and chimpanzees told it little about how penicillin worked in humans. In 1944, it injected prison "volunteers"� at the Terre Haute Federal Penitentiary in Indiana with lab-grown gonorrhea, but found it hard to infect people that way. In 1946, Dr. Cutler was asked to lead the Guatemala mission, which ended two years later, partly because of medical "gossip"� about the work, Professor Reverby said, and partly because he was using so much penicillin, which was costly and in short supply. Dr. Cutler would later join the study in Tuskegee, Ala., which had begun relatively innocuously in 1932 as an observation of how syphilis progressed in black male sharecroppers. In 1972, it was revealed that, even when early antibiotics were invented, doctors hid that fact from the men in order to keep studying them. Dr. Cutler, who died in 2003, defended the Tuskegee experiment in a 1993 documentary. Deception was also used in Guatemala, Professor Reverby said. Dr. Thomas Parran, the former surgeon general who oversaw the start of Tuskegee, acknowledged that the Guatemala work could not be done domestically, and details were hidden from Guatemalan officials. Professor Reverby said she found some of Dr. Cutler's papers at the University of Pittsburgh, where he taught until 1985, while she was researching Dr. Parran. Fernando de la Cerda, minister counselor at the Guatemalan Embassy in Washington, said that Mrs. Clinton apologized to President Colom in her Thursday phone call. "We thank the United States for its transparency in telling us the facts,"� he said. Asked about the possibility of reparations for survivors or descendants, Mr. de la Cerda said that was still unclear. The Nuremberg trials of Nazi doctors who experimented on concentration camp inmates and prisoners led to a code of ethics, though it had no force of law. In the 1964 Helsinki Declaration, the medical associations of many countries adopted a code. The Tuskegee scandal and the hearings into it conducted by Senator Edward M. Kennedy became the basis for the 1981 American laws governing research on human subjects, Dr. Siegler said. It was preceded by other domestic scandals. From 1963 to 1966, researchers at the Willowbrook State School on Staten Island infected retarded children with hepatitis to test gamma globulin against it. And in 1963, elderly patients at the Brooklyn Jewish Chronic Disease Hospital were injected with live cancer cells to see if they caused tumors. Elisabeth Malkin contributed reporting from Mexico City. Copyright 2010 The New York Times Company. Reprinted from The New York Times, International, of Saturday, October 2, 2010.